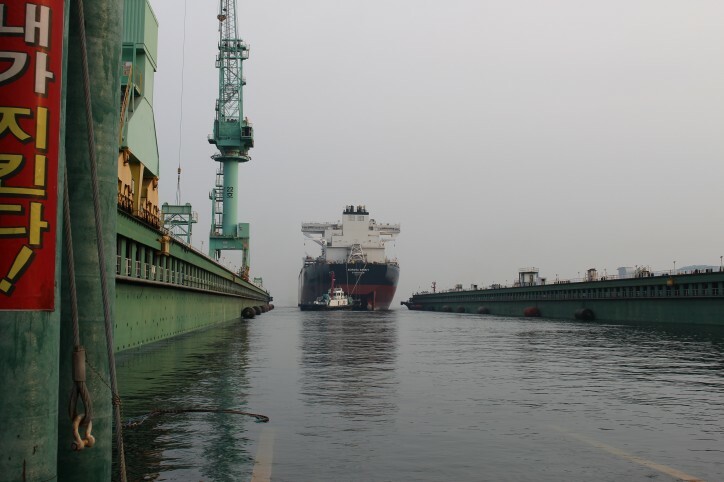 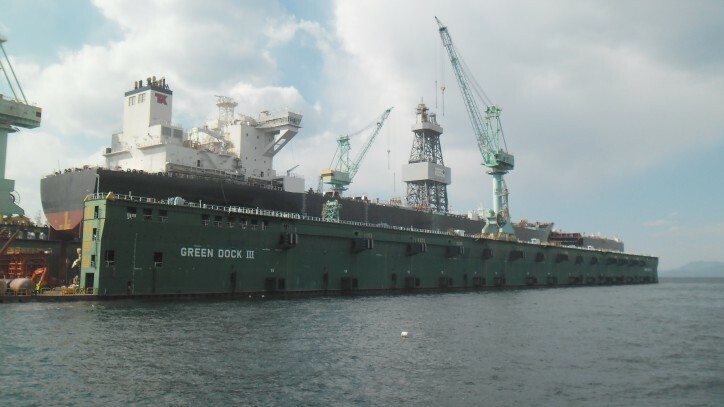 In late March, the Teekay's first E-Shuttle, Aurora Spirit was launched from the G3 floating dock at Samsung. 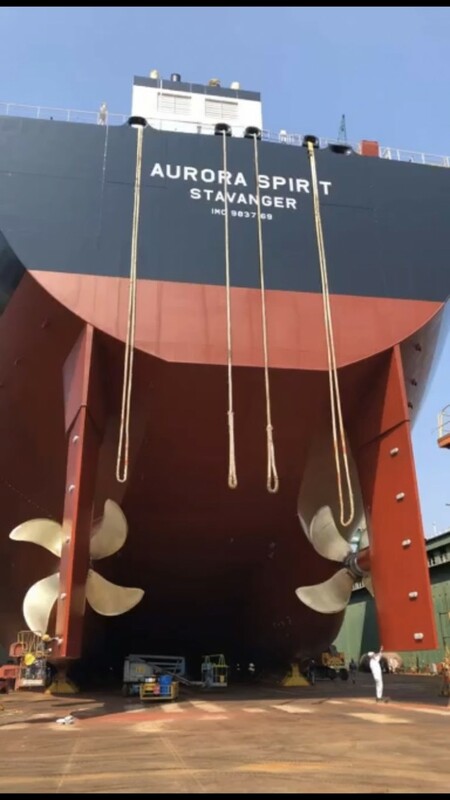 Next steps are to install the LNG tank, various VOC equipment and the BLS module, and then commence sea trials later this year. 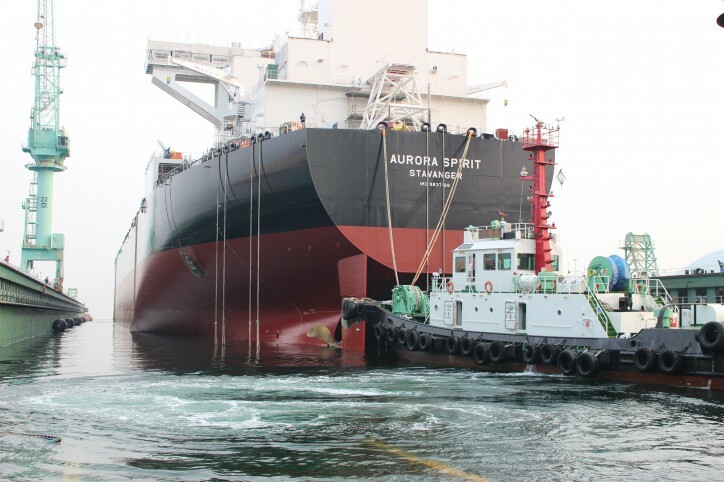 The new and innovative shuttle tanker design will significantly reduce emissions and fuel consumption. 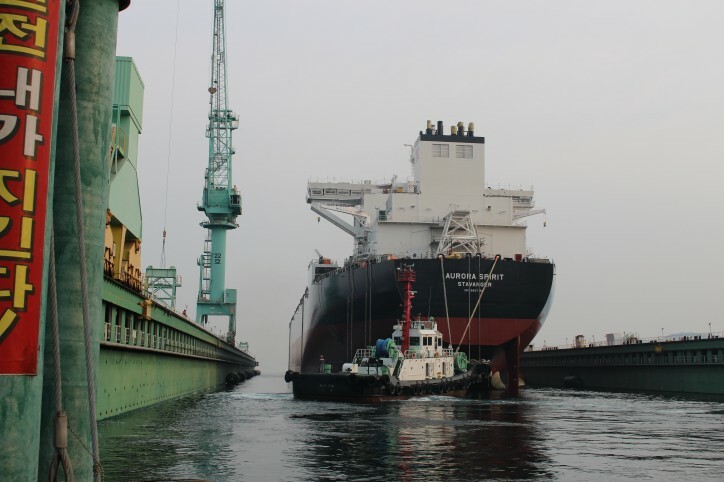 The 130,000 dwt vessels will operate on both liquefied natural gas (LNG) as the primary fuel, and a mixture of LNG and recovered volatile organic compounds (VOCs) as a secondary fuel.